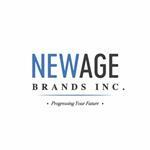 VANCOUVER, British Columbia, Feb. 12, 2019 (GLOBE NEWSWIRE) -- New Age Brands Inc. (CSE:NF) (OTC:NWGFF) (FSE:ONF) (“New Age Brands” or the “Company”) is pleased to announce that, following the recent success of its wholly owned subsidiary, We Are Kured, LLC (“Kured”), in South America, Kured has expanded into Europe by launching Kured International, LLC. Kured has begun to make significant progress in entering the European market thanks to the efforts of Yves Yon, Managing Director of Kured International, LLC. Kured CBD vape pens will now be offered in CBD stores throughout Paris, France. Kured’s 100% THC free CBD oil fits France’s CBD guidelines which require that all CBD oil must be less than 0.02% THC content. After introducing Kured’s disposable vape pen to some of Paris’s well-known CBD store owners and distributors, the Kured team feels that the European market will soon become a focus for distribution. For further information about New Age Brands, please consult the Company’s profile on SEDAR at www.sedar.com or visit the Company’s website at www.NABrandsInc.com. For further information about We Are Kured, please visit their website at www.wearekured.com.